Search For "Pharmaceuticals" Companies in Douglassville, Pennsylvania - Click Here Now! Personal Trainer - Offering Sessions In Bodyweight Circuit Training, Kettlebells, TRX Suspension Training, Weight Management And Nutritional Guidance. Currently Training Clients In Douglassville, Boyertown, Pottstown, Limerick, Royersford, And Collegeville. 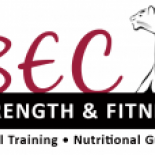 BEC Strength And Fitness in Douglassville is a company that specializes in Medicinals & Botanicals. Our records show it was established in Pennsylvania.